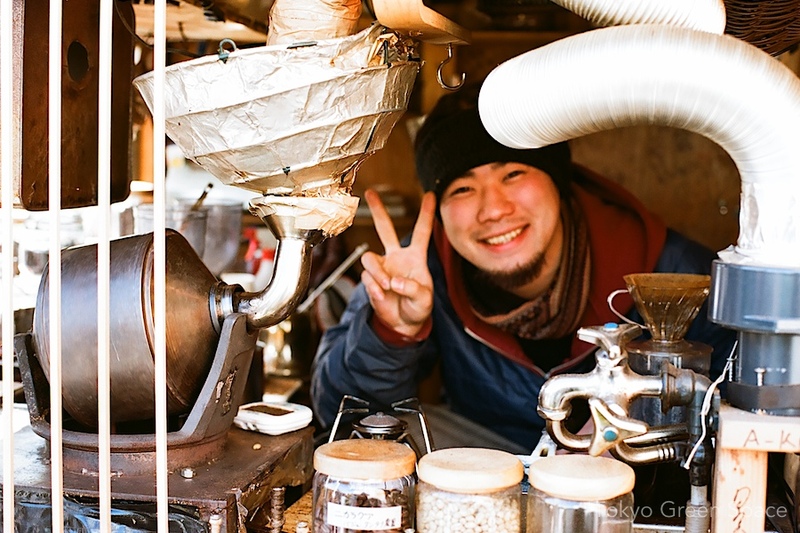 At Aoyama UNU farmers market. The coffee tastes good, too. 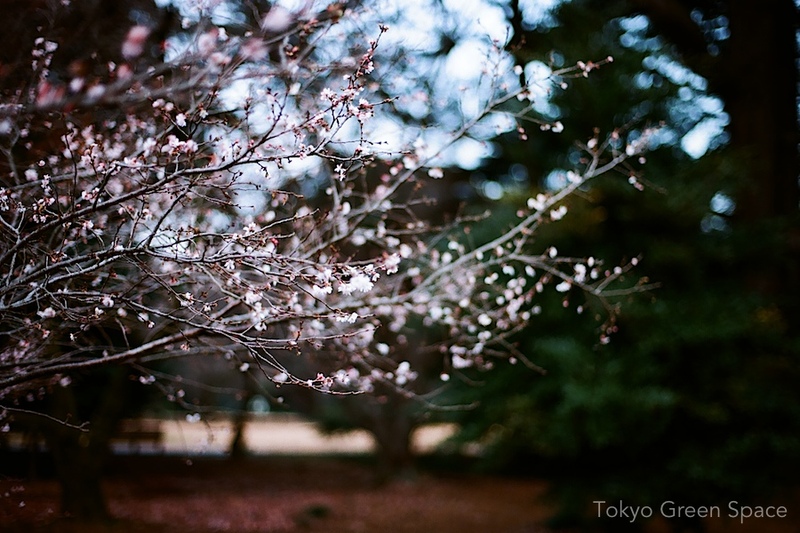 What fruit is in season in Japan’s winter? 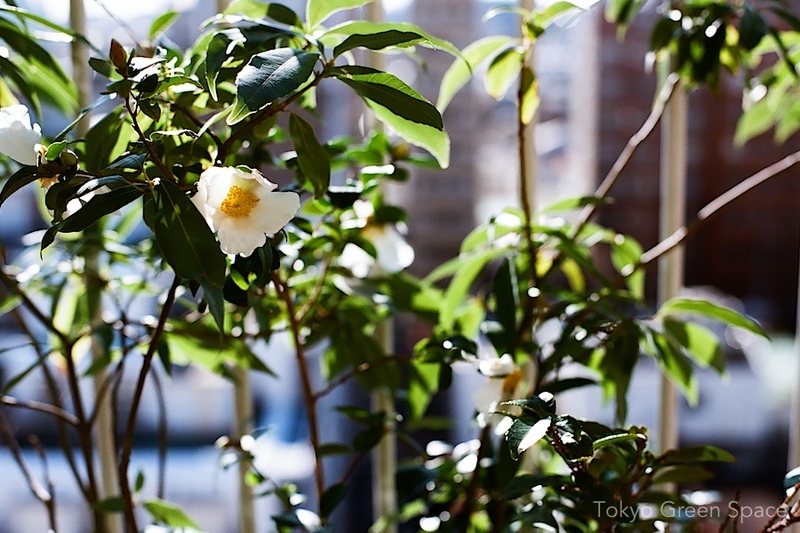 Fragrant yuzu. 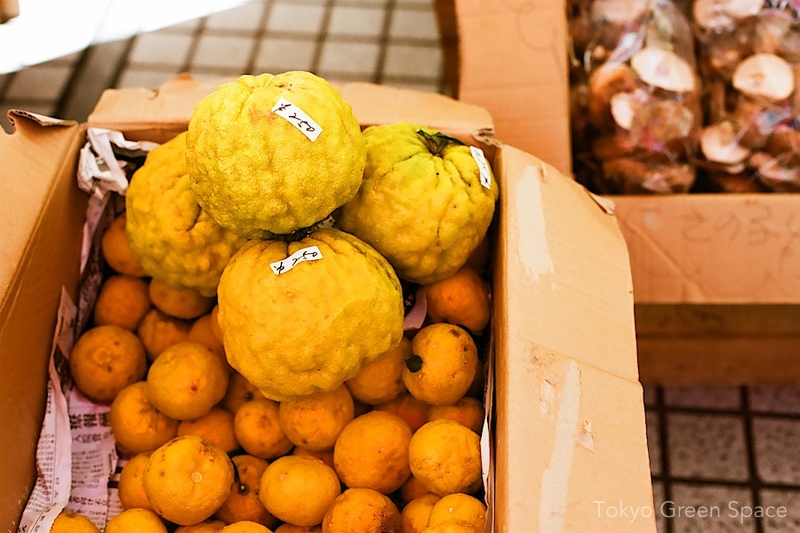 There’s giant ones and small ones at this Aoyama UNU farmers market stall. It’s good for lemonade, salad dressing, and bath water. 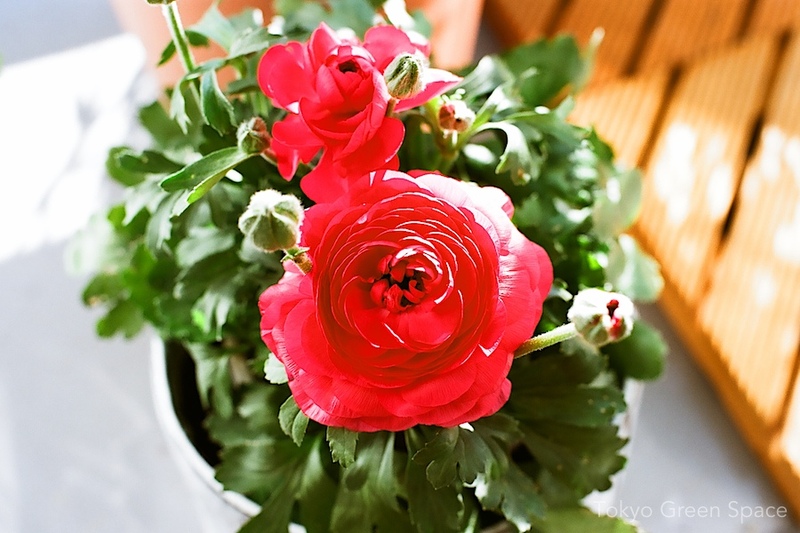 I love how ridiculously full ranunculus flowers are. 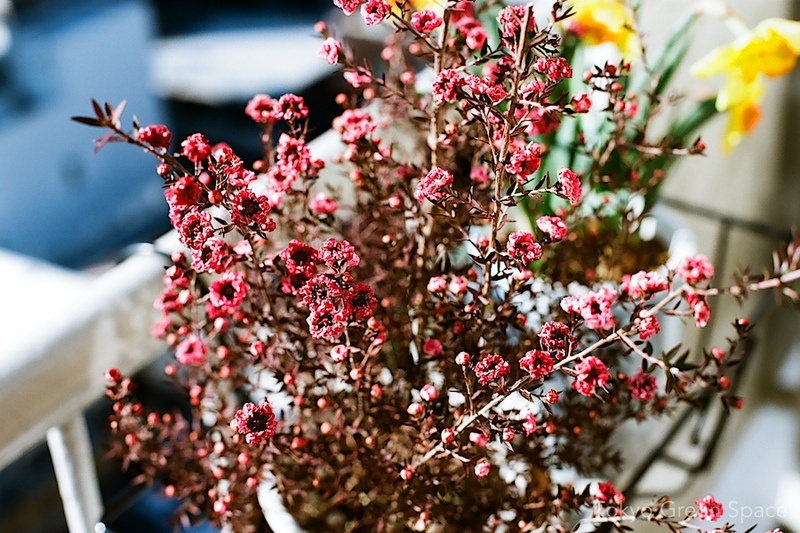 The intense red color seems to overwhelm my film camera. This double planting features winter leaf vegetables and spring tulips. 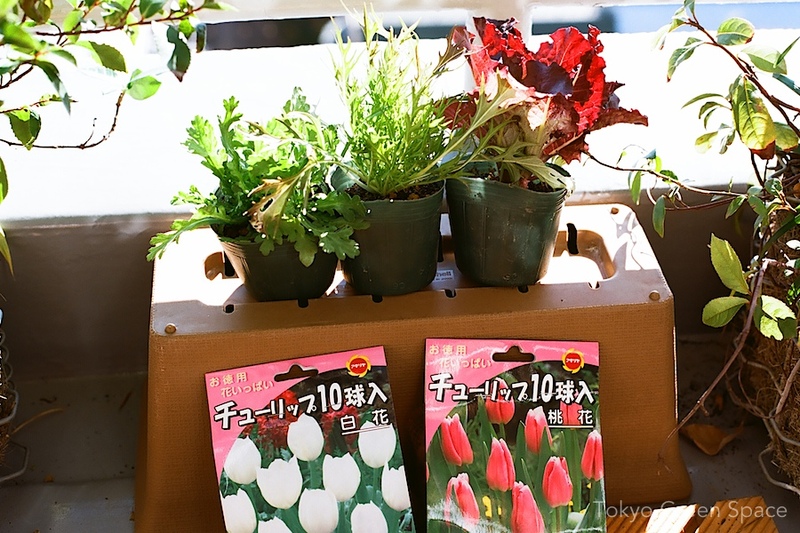 There’s red leaf lettuce, mizuna, and shungiku, an edible chrysanthemum. 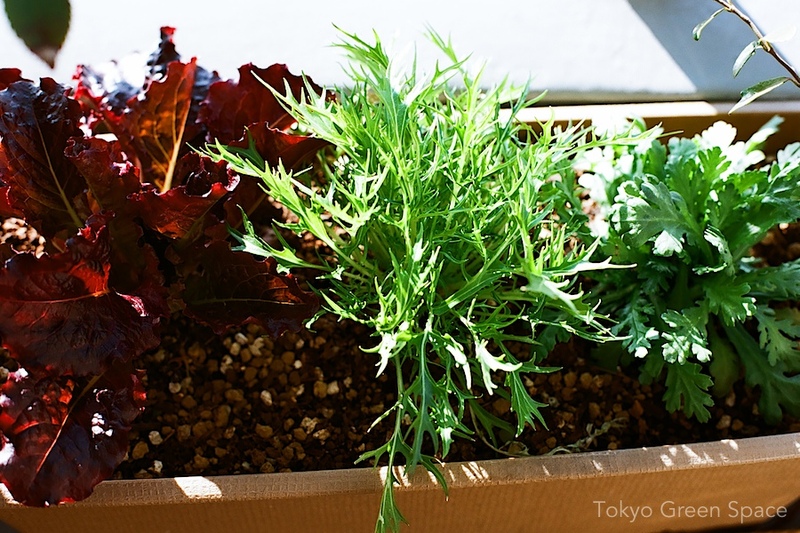 My mother-in-law reports that the balcony shungiku tastes “better than Rainbow Grocery vegetables in San Francisco.” I found the leaf vegetables at the Aoyama UN Farmers market stall that sells heirloom starter plants for 100 yen. 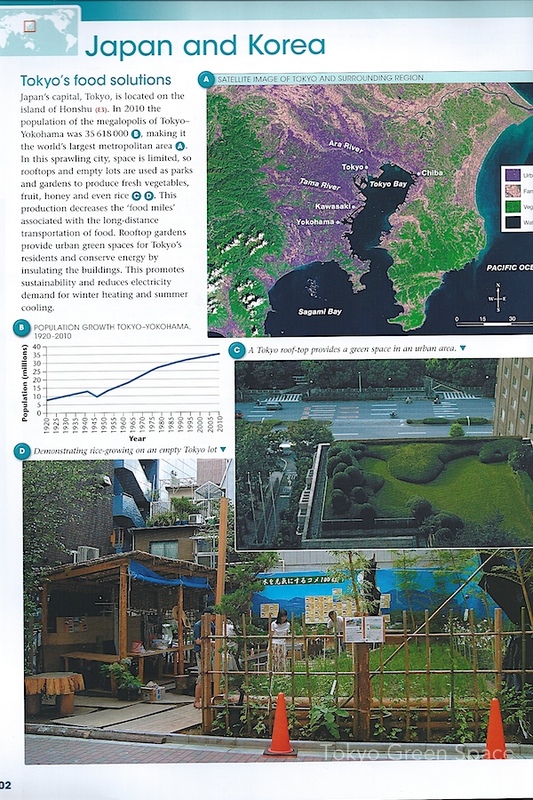 I was very flattered that one of Australia’s top geography textbooks, published by Wiley, included my photograph of Ginza Farm in their “Japan and Korea” page. My father in law was confused by the idea of the two countries together. I’d like to think it’s a hopeful gesture. 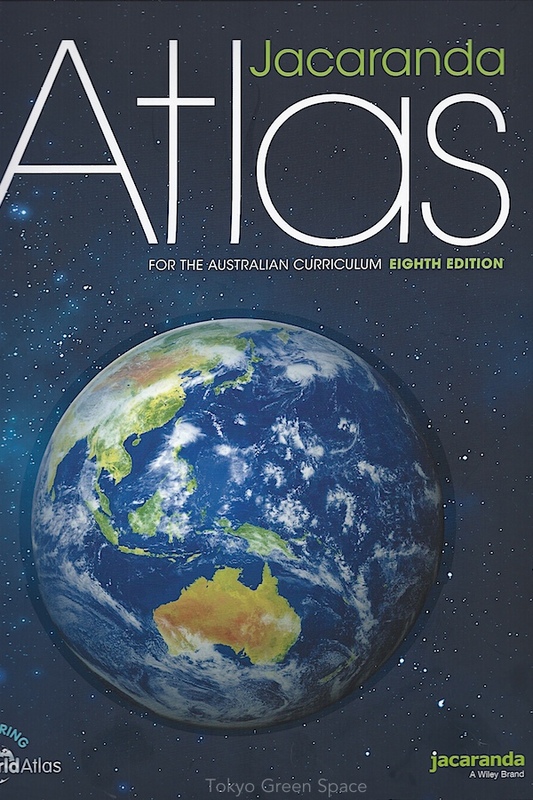 Of course, since it’s an Australian textbook, the atlas is clearly centered on Australia and its immediate neighbors. 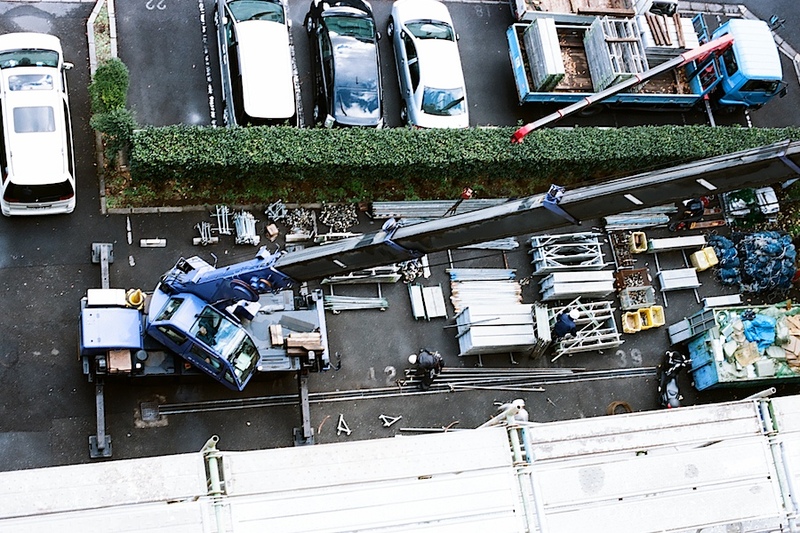 This 30 second clip features my photographs of flowerpot gardens and stories about their makers, who explain to me how they break the law in order to create safer streets. 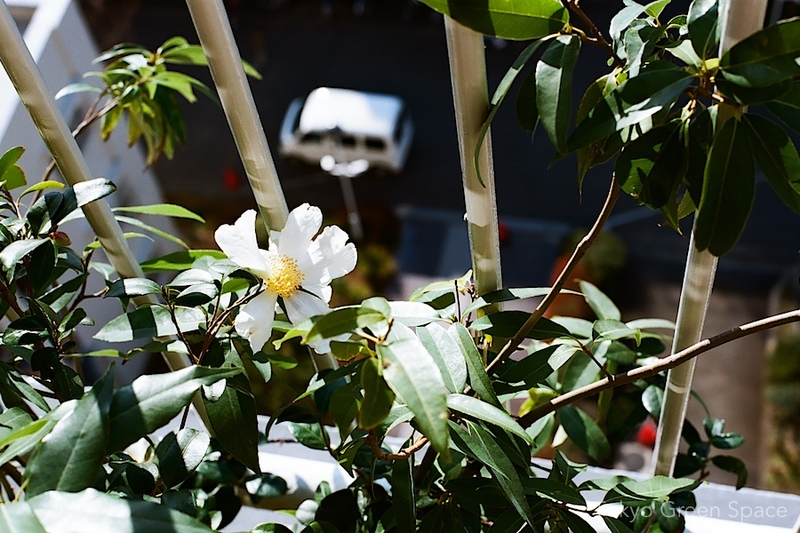 Last year, my friend Sho’s Bell Street Films made a short video about Tokyo Green Space and design anthropology, shot mostly in my balcony garden. 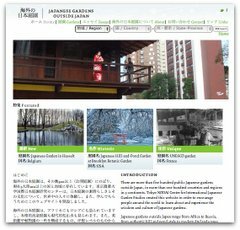 Record breaking Tokyo snow. 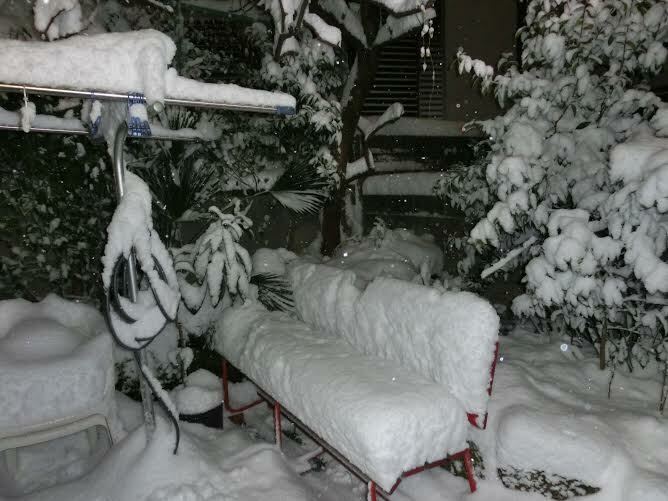 20 centimeters deep. 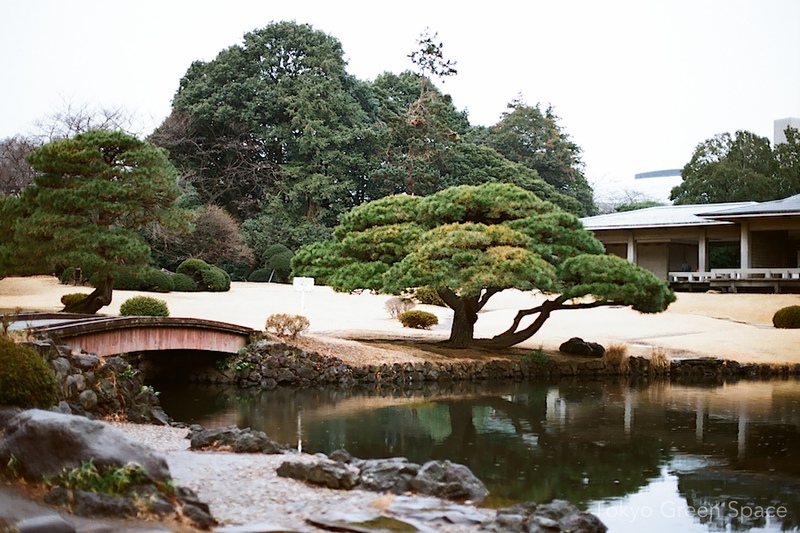 In the back of the Teshigotoya Kuge garden, you can see a native palm covered in powder. Each year it comes back. 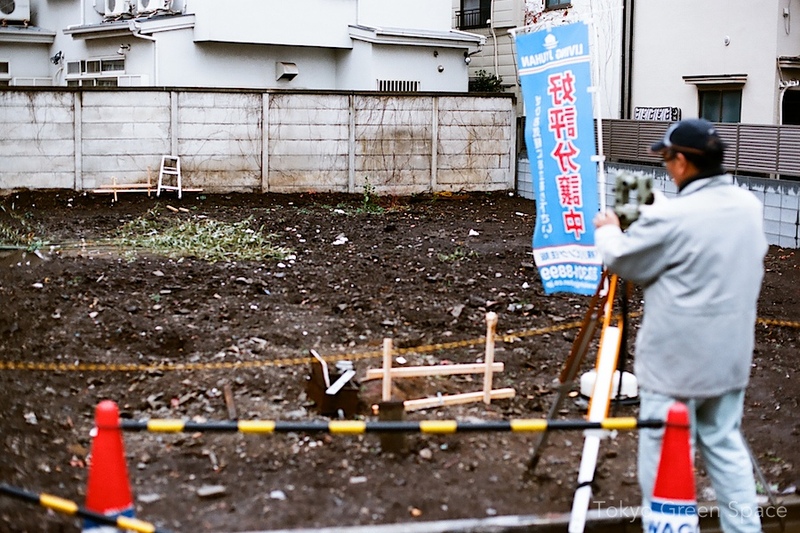 The two neighboring houses which I watched get demolished last summer are showing signs of activity: a realtor banner, a surveyor, and a pile of fallen bamboo from a Shinto ceremony. 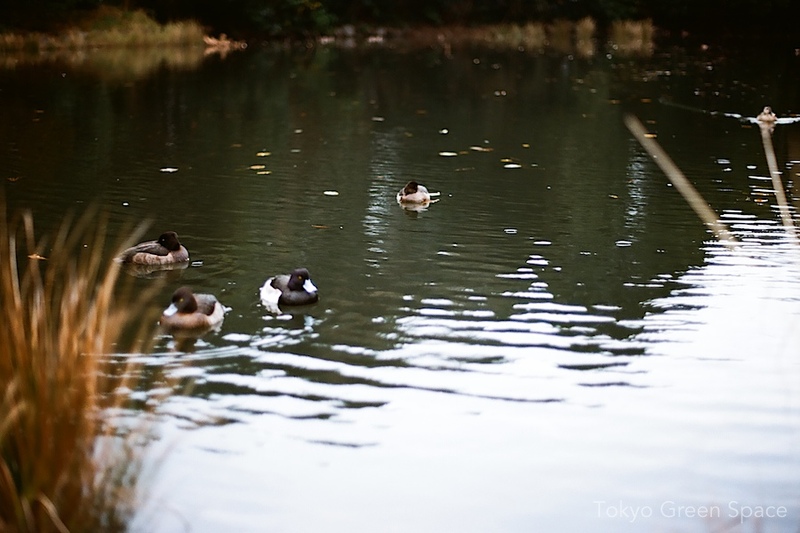 In Nakano.